From the ashes of Metropolis come Superman and the JLA's newest ally: Lex Luthor! Against all odds, he's not only survived but now embraces Superman's goals. Of course, Lex has his own ideas for how to create a better world. The Man of Steel trusts him, but can the rest of his allies be so sure? 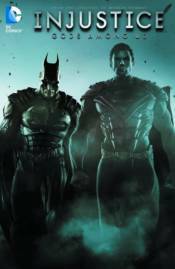 Collecting INJUSTICE: GODS AMONG US #7-12 and ANNUAL #1!